He also notes that Carl Forti, political director of Rove’s American Crossroads, is also leading Romney’s Super PAC, Restore Our Future. All of this is, of course, predicated on the belief that Rove is wrong about any of this. While many of Rove’s observations about the Republican field match up pretty well with reality (Donald Trump is a clown, for example), it’s unusual to hear Karl Rove criticize a candidate for attacking another candidate. Still, maybe Rove’s unbiased view just happens to put him at odds with Newt Gingrich for the moment. That was my first reaction, based on a general impression I’ve developed that Rove has been an occasional breath of fresh air from the right during this race, willing to assess the GOP field, warts and all. Then, I took a look at Mediaite’s own coverage of Rove this past year, and quite a different picture emerged. It’s not just Gingrich, after all. A look at Rove’s criticism over the past year matches up very well with the volatile top of the Republican primary polls. Even before Donald Trump’s embarrassing (for Republicans) run at the top, Rove was busily kneecapping the hypothetical candidacy of former Alaska Gov. Sarah Palin. Then along came Trump, with his Birther sideshow, and Rove was all over The Donald like a coat of gold spray paint. Trump rode the Birther wave to polling numbers that Mitt Romney can still only dream of, until President Obama popped Trump’s candidacy like an overripe zit at the White House Correspondents Dinner. Then, as now, it’s tough to fault Rove’s analysis of Trump as a buffoon, but it fits the pattern nonetheless. It’s Rove’s next target that provides something of a smoking gun. Before Rick Perry officially declared his candidacy, Rep. Michele Bachmann (R-MN) was riding high, nipping at Romney’s heels in the polls, and got a major (if short-lived) boost from her win in Iowa’s Ames Straw Poll. However, Rove didn’t wait for Bachmann’s cuckoopants declarations about the HPV vaccine to torpedo the Minnesota Congresswoman, nor did he attack Bachmann on any other issue of substance. Instead, Rove was one of a very few conservatives who attacked Bachmann for getting headaches, a blow so low, flaming liberal Ed Schultz was forced to defend her. He even went to the effort of taking a shot at Ron Paul in October, long before the Congressman’s current surge. 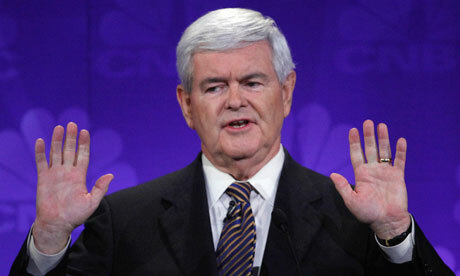 Now, as Burton points out, it’s Newt Gingrich’s turn in the barrel. Through all of this, though, Rove had nothing negative to say about Mitt Romney, or at least nothing negative enough to make the pages of Mediaite (and we’re pretty thorough). In fact, he hasn’t had much of anything to say about the former Massachusetts Governor. He picked Romney to win a September debate, and defended him over anti-Mormon comments made by a Rick Perry supporter. From the looks of things, that position was already filled.